" There are many rural areas in India, where proper medical facilities are not available, and even if there are some health centres available, majority of the people cannot even afford the cost of basic treatment, medications and other services provided by such health centres. Hence, they are deprived of proper health care and suffer terribly. " 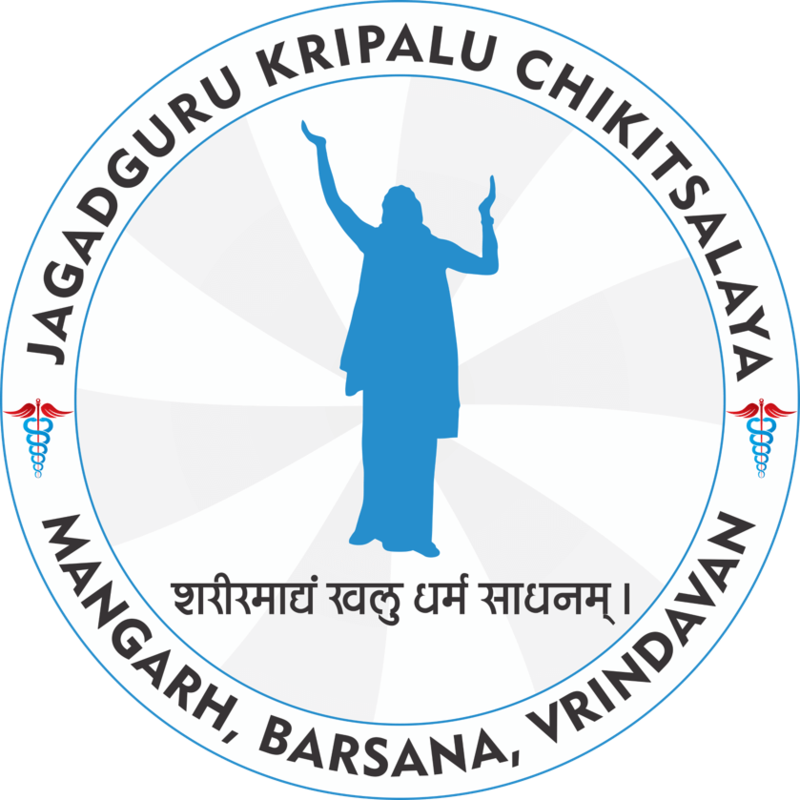 Keeping in mind the lack of medical facilities available in such rural regions, Jagadguru Kripalu Parishat (JKP) financed and completed the construction of three fully charitable Jagadguru Kripalu Chikitsalaya Hospitals. It also finances the operating expenses of these three hospitals. 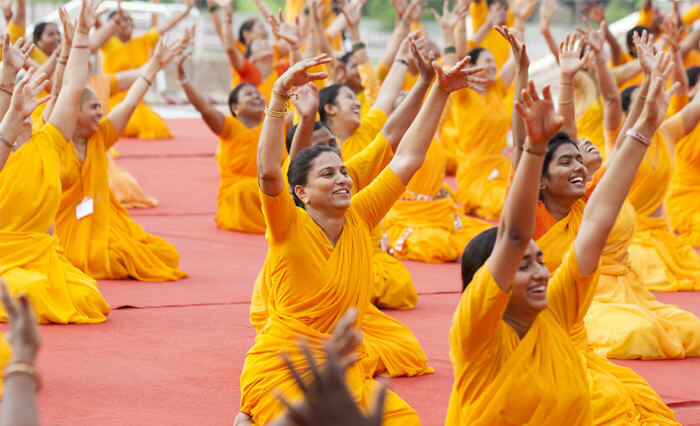 Jagadguru Kripalu Chikitsalaya – Mangarh village is situated in Pratapgarh District, Uttar Pradesh and was Inaugurated on 5th November 2003, by the then UP Governor, Dr. Vishnukant Shastri. 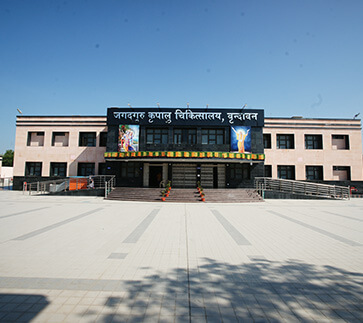 Jagadguru Kripalu Chikitsalaya – Barsana village, in Mathura District, Uttar Pradesh, was inaugurated on 14th January 2007. 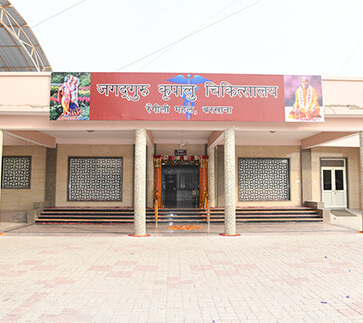 The third hospital in Vrindavan was inaugurated on September 18, 2015. 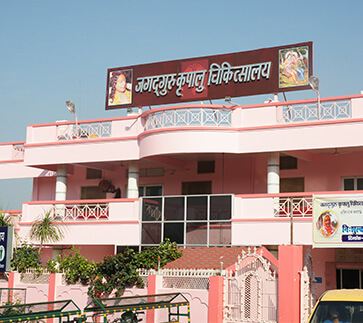 Under the guidance and encouragement of Shri Maharaj Ji, another massive charitable hospital in the holy land of Vrindavan became operational from September 18th, 2015. Like the other two JKP hospitals, the hospital in Vrindavan is also providing all its medical services and facilities completely free of charge to all patients. This hospital can handle up to 500 patients a day. This state-of-the-art hospital has OPDs for various branches of medicine along with an Emergency Room and Minor Operation Theater. 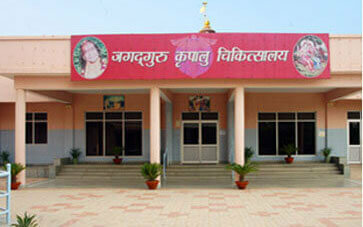 The foundation for this hospital was laid by Jagadguru Shri Kripalu Ji Maharaj in February 2008. This free, multi-facility, 100-bedded hospital is providing free consultation, free in-patient treatment, free diagnostics and free medications to the residents of Braj. The hospital is rendering services in General Medicine, including General Surgery, ENT, Ophthalmology, Dermatology and Gynaecology along with Dental Care, Physiotherapy, Naturopathy and Homoeopathy. The hospital also has in-house radiology lab with X-Ray and Ultrasound machines, as well as pathology lab where blood, urine and stool tests will be conducted. 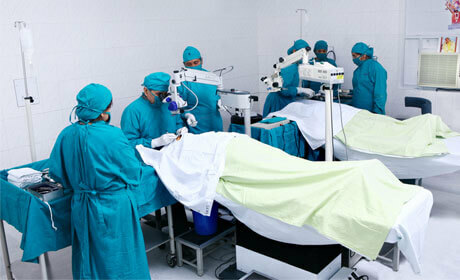 The hospital in Mangarh was extended to include a separate Eye Hospital, Jagadguru Kripalu Netra Chikitsalaya, for the benefit of the increasing number of patients with eyesight/vision problems, which was inaugurated by Jagadguru Shri Kripalu Ji Maharaj on 26th July 2009. The hospital in Barsana also has a separate Eye unit. 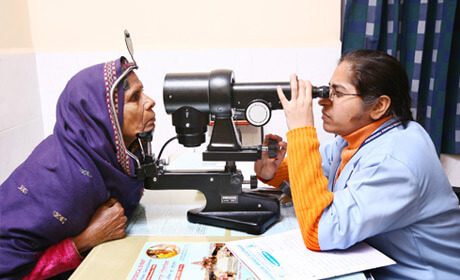 Free Eye Camps are organised multiple times a year where patients suffering from cataract are treated by performing cataract surgery. All three hospitals are a multi-facility hospitals providing free and round the clock services of: All medical personnel render their services free to the hospital. Due to the unprecedented rush and the constant effort made by JKC to maintain quality service, all three hospitals are forced to limit the number of patients they can examine per day. These hopsitals have approximately 500-600 new patients on their waiting list at all times. The expense incurred for In-Patient Services, Out-Patient Services, Medicines, X-Rays, ECG, Ultrasound, Pathology Investigations, Surgeries, etc are all borne by JKP, thus providing all medical services to its patients completely free of charge. These hospitals are equipped with state-of-the-art imaging and laboratory equipments and an in-house 24-hour pathology laboratory along with a minor Operation Theator. 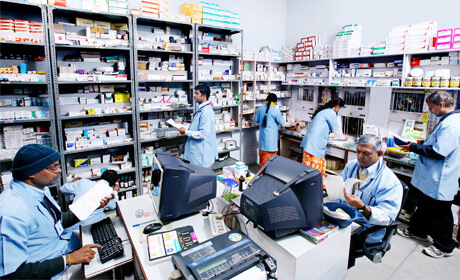 Patients receive their medication right away free of charge by visiting the hospital’s pharmacy. 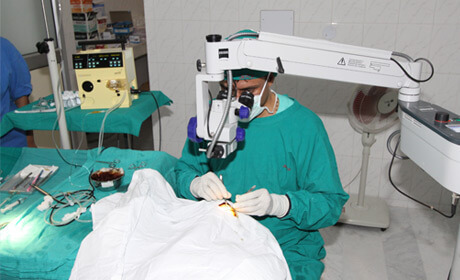 In addition to the medical services provided by JKC, the hospitals also conduct various medical camps throughout the year, including Opthalmic (Eye) Camps, Blood Donation Camps, Naturopathy Camps, etc, as well as organising health awareness programs in surrounding rural villages.